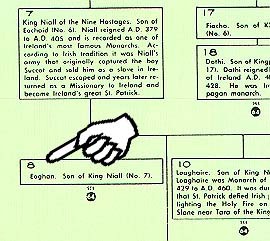 Tracing Your Irish Heritage is Easy! Reference Numbers listed after the name. Counties your family originated and held power. 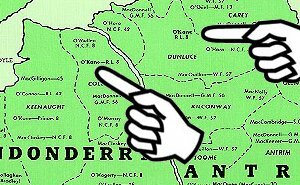 Find your name within the County and Baronies outlined. on the middle right of the map. This will indicate your family's Social Position. line on the bottom of the Map. You will discover that this map is an invaluable tool in helping you learn more about your family and their relations. Knowing you family's history stirs the imagination and opens doors to research you never thought possible. Discover your heritage today! 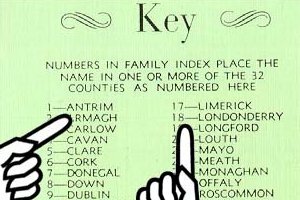 You might just be real Irish Royalty!